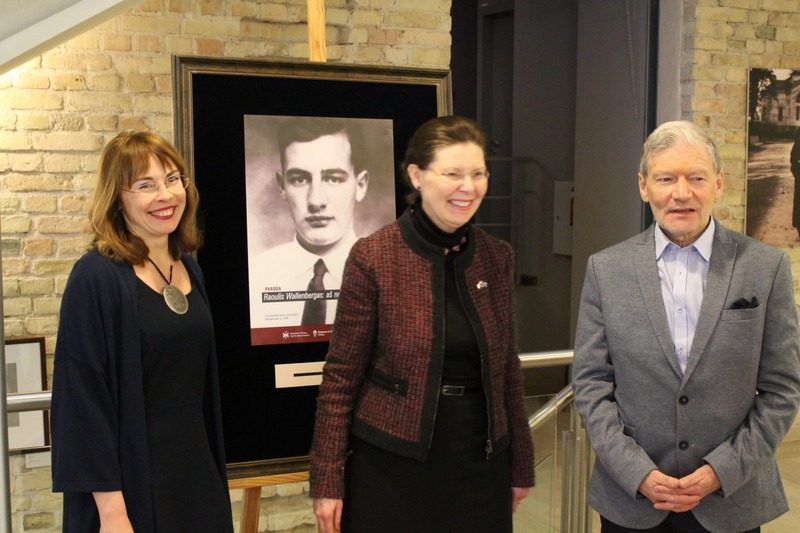 On January 25, exhibition “Raoul Wallenberg: to me there is no other choice” was opened and documentary film “Raoul Wallenberg’s War” was screened in cooperation with the Swedish Embassy in Vilnius in order to commemorate the upcoming International Holocaust Remembrance Day. The event has been attended by over a hundred people, including many schoolchildren. Speeches were delivered by the Director of the Vilna Gaon State Jewish Musuem, Markas Zingeris, H.E. Ambassador of Sweden, Maria Christina Lundqvist, and the Head of the Secretariat of International Commission for the Evaluation of the Crimes of the Nazi and Soviet Occupation Regimes of Lithuania, Ronaldas Račinskas. The exhibition will remain open in the Museum’s Tolerance Center (Naugarduko St. 10/2, Vilnius) until February 20, 2018. Photo credit: Embassy of Sweden in Vilnius.